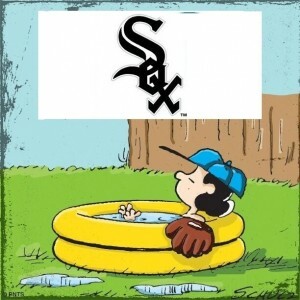 The White Sox may not have the worst record in MLB for 2015, but earned an even-worse honor. With improved distribution due to the switch from CSN Houston to Root Sports – not to mention a vastly improved team, the Astros scored a whopping 497 percent increase. Technically, the Astros placed last among MLB teams in 2014, but reach problems were the main culprit. The Dodgers also improved distribution, but still remained in the bottom five. Both of Missouri’s teams – the Kansas City Royals (12.3) and the St. Louis Cardinals (10.0), ranked first and second respectively, among U.S teams. As for the White Sox, look for Ken “Hawk” Harrelson to cut back his workload to 84 games next year – mostly road contests. No word on who would replace Harrelson for home games. Given the poor ratings, thre White Sox telecasts need to be refreshed, as the games are meant to promote the team and the experience at the ballpark. Judging by the mostly negative reaction on message boards and social media, Harrelson’s “Hawk-isms” are outdated (and admittingly, annoying), and does nothing to draw viewers to the telecasts – or to U.S. Cellular Field, as the large number of empty seats attests. – Is this a Kris Bryant or Cookie Lyon town? Or does it belong to Jonathan Toews? Chicago TV viewers will be in a conundrum come Wednesday night – not only the Cubs play the Pittsburgh Pirates in a MLB Wild Card game, but the defending Stanley Cup Champion Chicago Blackhawks open their season the same night against the New York Rangers. And if that weren’t enough, a new episode of Empire is airing the same night. The hot drama cooled off a bit last week with a 5.4 adult demo rating, but jumped to a 7.7 with three days of DVR usage added in. Will Empire have another DVR surge this week? Don’t be surprised as when it comes to sports in this town, there is a live-viewing preference. Sorry Cookie, but your nookie doesn’t compare to Cubdom. 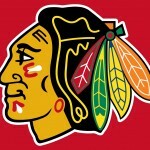 – Speaking of Chicago sports, the Blackhawks have found another market to call home… Indianapolis. Starting this weekend, Media General’s independents WISH and WNDY are slated to carry nineteen Chicago Blackhawks games produced by WGN Sports beginning with Saturday’s game against the New York Islanders. Both stations already carry a package of Cubs and White Sox games produced by WGN and will do again so next season. However, don’t look for Bulls games produced by WGN to show up on Indianapolis TV. Due to NBA territorial rules, no local station or RSN can carry the team due since the market is home to the rival Indiana Pacers. Meanwhile, Media General’s ownership of the Indianapolis’ duo is up in the air after Nexstar made a bid for the company, besting the one made by Meredith Corp., owner of TV and magazines. Nexstar is a “pure-play” broadcaster (meaning they own no other properties other than TV stations) and owns a few Illinois stations, including CBS affiliate WCIA-TV in downstate Champaign. Sources indicate Media General is now dropping its bid to acquire Meredith due to a lack of shareholder support. 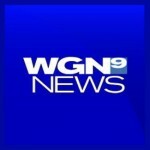 – WGN-TV debuted its 10 p.m. newscast Monday night and the results are so far, so good: the Tribune-owned station ranked third in households and among adults 25-54 and finished ahead of CBS-owned WBBM-TV. In fact, WGN nearly had a full ratings point lead over WBBM in the 25-54 demo (both WLS and WMAQ tied for first at 10.) Replacing a third run of Celebrity Name Game, WGN’s decision seems to be a good move. 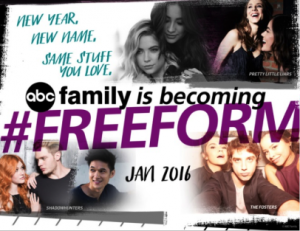 – Come January 1, the ABC Family you’ve come to ignore is changing its name to… #Freeform (and yes, the hashtag is part of the network’s name and yes, it has a lot of do with social media…) the cable channel – home to Pretty Little Liars is now targeted to 18-34 female millennials – not the family-friendly audience the current name suggests. Recently, Fuse re-christened itself as “FM”. Oddly enough, the former WCKG-FM (now WCFS-FM, simulcast of WBBM-AM) was branded as “Free FM”, the elements ABC Family and Fuse are now using for their makeovers. Needless to say, the WCKG rebrand was not a success. ABC Family was originally known as CBN, and was owned by Pat Robertson, carrying family-friendly off-network programming, The 700 Club and cable’s first made-for soap opera, Another Life. CBN became The Family Channel in the late 1980’s, and started producing original programming (Big Brother Jake). The name changed to Fox Family Channel in 1997 after Fox parent News Corp. acquired the network, and sold it to Disney in 2001, where it became ABC Family. And yes, no matter what it’s named, the channel is still contractually required to carry The 700 Club, a show I’m sure is a hot topic among millennials.